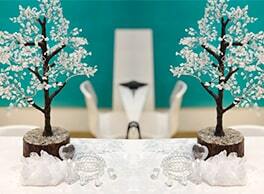 The use of crystals in healing dates way back to the ancient Sumerians and ancient Chinese medicine. Their use in alternative medicine today has sparked a lot of curiosity. Let’s look at why exactly crystals are considered to be so powerful. The way that crystals occur in the earth is interesting. Crystals form when liquids cool and start to harden. The molecules of these liquids attempt to stabilize by coming together in a repetitive pattern. It is said that this repeating chemical structure gives the crystals the power to harness the energy of the earth and its elements. This energy helps you to feel grounded by realigning the energy that flows through your body, so as to cleanse any negative spirit energy. 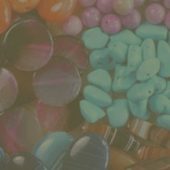 There are hundreds of different types of crystal stones that are used in healing, and different chakra crystals heal different issues. The most powerful healing stones used to cleanse and drive away negative energy are listed below. If you find that you act upon your emotions very often, without rationalising your impulses first, then amethyst is for you. Amethyst is a distinct, easily-identifiable crystal because of its unique violet colour. 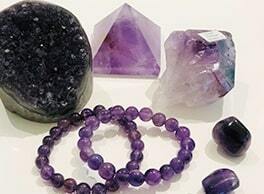 It gets its name from the Greek word ‘amesthutos,’ which means ‘not drunken.’ The healing powers of amethyst work on a similar principle and focus on grounding you so that you are not completely intoxicated or overwhelmed with emotion when faced with decisions. It helps you critically evaluate the posed options and understand how to act upon them. Amethyst really helps against negative energy as its vibrations help transform negative thoughts into positive ones, along with a more positive outlook towards approaching relationships and situations. A wonderfully lustrous metal, Pyrite has the ability to brighten up a room in an instant. This high energy crystal harnesses energy straight from the earth and draws in energy into your body to protect you from negative energies and keep you grounded. Pyrite comes from the Greek word ‘pyrites’ which means ‘of or in fire’; and it stays true to its name, sparking creativity and confidence. 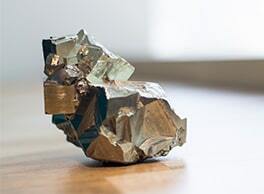 Most importantly, pyrite is connected with the solar plexus chakra, which is the centre of energy flow in your body. It helps stimulate the solar plexus chakra so as to let in positive energy. Similarly, it also does well to keep negative energy out of homes as it energises physical areas in which it has been kept by promoting optimism and cheerfulness. Have you ever wished something could take away the negativity you feel around you? 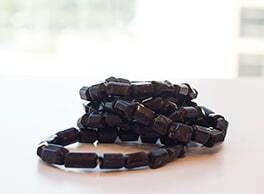 Black Tourmaline is known to absorb negative energy and neutralize it. It helps build a connection between the earth and humans’ spirit energy. It is also known to protect you from the electromagnetic field that surrounds computers, phones and other digital devices. One of the strongest gemstones for healing, it helps in doing away with stress, worries, fear and anxiety. Tiger’s Eye is sourced from metamorphic rocks, which is a great indicator of what it focuses on healing. 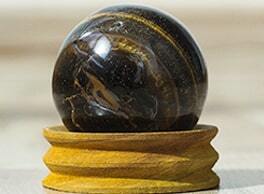 Tiger’s eye is said to be very good for helping you maintain harmony internally and helping you resolve inner conflict. It is known to soothe you and help you find a balance between your thoughts and emotions. Amongst the chakra stones, quartz is one of the most powerful ones. Quartz possesses an ability to vibrate rhythmically in response to the energies that flow through our bodies. It is strongly associated with purity and is known to destroy negative energy. Its affinity with the earth and our body and all the energies associated is what makes it a powerful cleanser of negative energy. Energy healing masters at Illuminations, a holistic institute in Dubai and Abu Dhabi, teach you the art of crystal healing. You can contact us here.